FleetCards USA is a solution for fleet companies trying to identify the credit card services that best suit their requirements and help them save on fuel and maintenance costs. 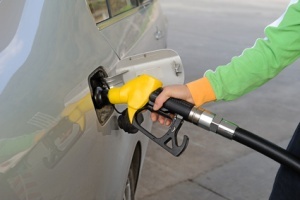 The company offers several fleet fuel cards tailored for almost every type of business, including government bodies, transport companies, retailers, independent businesses, large corporations and others. Irrespective of how large your business is, FleetCards USA can identify and direct you to the right credit card for you. You can apply for a number of credit cards at the official FleetCards USA website. The company presents an impressive array of BP Fleet Cards, Chevron and Texaco Fleet Cards, ARVO Fleet Cards, CITGO Business Cards, Fuelman Fleet Cards and MasterCard Fleet Cards. FleetCards USA is aware that business owners and entrepreneurs will find it difficult to identify the right card for their business, owing to which it offers a valuable service called FleetMatch, which matches the business with the correct credit card. Exclusive to FleetCards USA, the FleetMatch system identifies the fleet card that is best for a particular business either over the telephone or in person. FleetMatch services are quick and all you need to do is answer a few simple questions to identify the best fleet credit card for your business. In fact, FleetCards USA is the only company of its kind that actually helps customers to choose the right credit card. The service matches business needs with a wide range of fleet fuel cards to identify the right card for a business in a matter of just a few minutes, all for free. The FleetMatch System expects you to answer a few basic questions such as how your company purchases fleet fuel, the type of fuel products you prefer, the nature of your fleet travel, the size of your fleet, the nature of your business and so on before it can offer suggestions. You can then apply for the recommended fleet credit card right away. BP Fleet Cards such as BP Business Solutions Fuel Card, BP Business Solutions Fuel Card Plus, BP Business Solutions MasterCard and others give card holders the opportunity to save as much as 4.5 cents per gallon purchased at BP centers. Chevron and Texaco Fleet Cards such as Chevron and Texaco Business Card and Chevron and Texaco Universal Business MasterCard are accepted at literally thousands of Chevron and Texaco locations all over the US. If you get an ARCO Fuel Card such as an ARCO Business Solutions Fuel Card or an ARCO Business Solutions MasterCard, you can save as much as 5 to 10 cents per gallon of fuel purchased at an ARCO fuel station. CITGO Business Cards help you save as much as 5 cents per gallon for the first 3 months after you get your card, Fuelman Fleet Cards help you save as much as 15 percent on fuel and MasterCard Fleet Cards are accepted at any gas station that accepts MasterCard. Fleet cards are indeed a great solution to check employees, track fuel expenses and save on fuel.